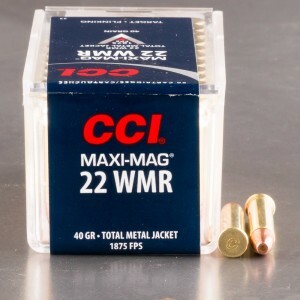 Solid point 22 Magnum ammo or full metal jacket bullet has its lead core completely surrounded by hard gilding metal; of course, some manufacturers also make a solid, non-lead core bullet that can act like a FMJ bullet. 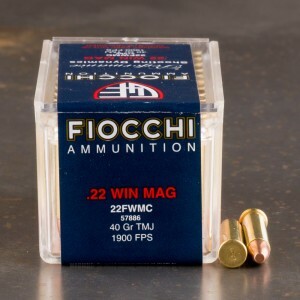 There are factory offerings of FMJ (Full Metal Jacket) ammunition for the 22 WMR. 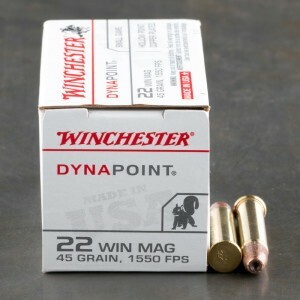 This style of bullet is designed to have little to no deformation upon encountering the target - whether paper or living. 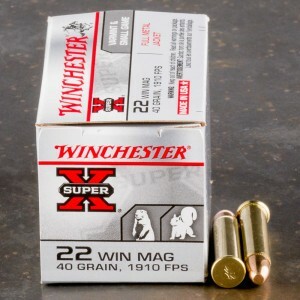 It can be a great pelt gun with this style of bullet. 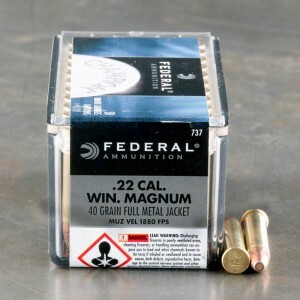 Of course, FMJ ammunition is also great on paper for those practice sessions at the range.